I was never a fast runner. Even now, I am fast for me but nowhere near as speedy as some of my friends. 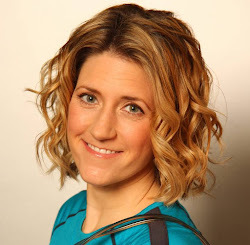 There have been many times where I have showed up for a group run (either formally or informally organized) and found myself at the back, wondering how much longer it would be until I got lost (have a read of my blog post on how to be a good run club leader). Turning up to track or even parkrun can be scary because nobody wants to finish last. You know what? It is ok to run slower than other people. Perhaps you have a goal though to improve your running speed. It is up to you if you want to build up your run/walk intervals or want to finish a 5K without walking. There are several ways to get faster. One is to develop your running muscles (primarily glutes and hamstrings) by lifting weights. Another way is to add speed work and hill sessions to your training regime. If you are a beginner though, you might just need to run more frequently. 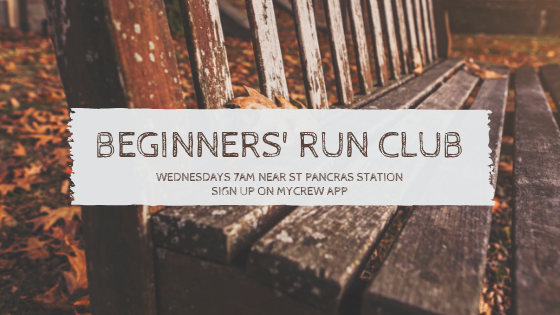 Rather than wait for the calendar to change to 2019, why not join me on Wednesday mornings through 19 December for a beginners' run club? We meet at 6:45am for 7am departure near Kings Cross/St Pancras stations. There is a free bag drop available and our route is predominantly along the towpath. We have up to 60 minutes to run and or walk 5K before returning to the start point to collect our bags. Early morning runs can be tough, especially when it is cold and dark outside. Running with a group is the perfect way to add accountability. Plus you will be ready to set brand new goals in 2019. Sign up for MyCrew app today and then register for the runs you can make. I would love to see you there. Feel free to invite your friends and colleagues. I always say, "the more the merrier".